You can enjoy rafting in rubber boats or wooden rafts, and go down the Tara River, the longest river in Montenegro. You can also go rafting down the Lim River, which flows out of Plav Lake and is the largest tributary of the Drina River, as well as down Morača River. 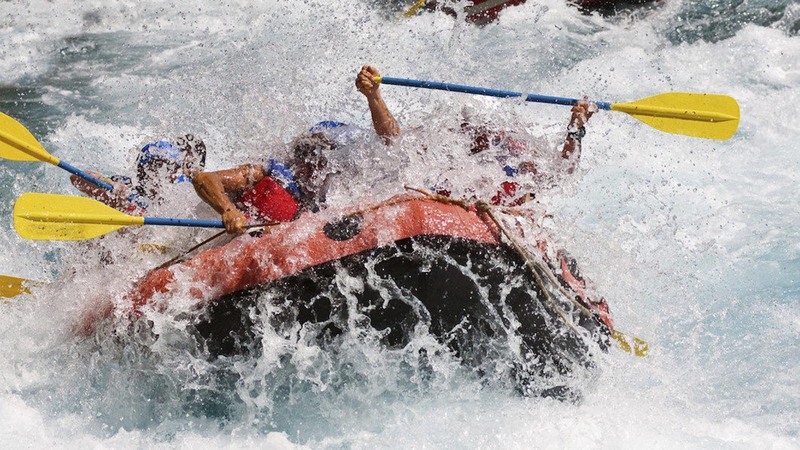 Rafting is often part of one-day or multi-day arrangements that include different interesting activities like canyoning, kayaking, camping, mountaineering, biking and many others. Tara River Canyon is the deepest canyon in Europe and second deepest canyon in the world, and its name is synonymous with this kind of activities. The bridge on Đurđevića Tara represents a magnificent architectural masterpiece and recognisable symbol of the river. Exciting adventure down this river can be18 kilometres long, starting from Brštanovica and going to Šćepan Polje, where the Tara River meets the Piva River. You can also enjoy the sights of old monasteries, churches and watermills. Rafting down the Piva River is possible only in certain cases, depending on the level of waters coming from Piva Lake. This ride can prove to be a challenge even for the bravest. Combination of rapids and calm waters of the Lim River will offer a great deal of dynamics to your ride. Since this is an international river (flowing through Montenegro, Serbia and BiH) it is the venue of Lim regatta, a traditional spots and tourist event, which offers rafting through two countries, from Plav (Montenegro) to Prijepolje (Serbia).